Bright Horizon Hospice offers a complete range of services and support, and four levels of care to assist our patients and their families who are facing a terminal illness. Our experienced nurses are compassionate, caring experts at developing an appropriate plan of care specific to each patient. Since pain management is essential to hospice care, our nurses will make every effort to relieve pain and make the patient as comfortable as possible. The importance of counseling in an end-of-life situation is an essential component of the support process. Our professional counselors are available to help patients and their loved ones cope with the complex emotions they may experience during this difficult time. Issues of closure, physical pain and psychological anguish can be addressed and explored with the help of an experienced, caring professional. Our team of registered physical, occupational and speech therapists create individualized care plans for both our home health patients. These specialized therapies are designed to evaluate and treat symptoms, restore function and make the patient as comfortable as possible. Personal care assistance is available to give families freedom from worry about care and safety issues. Our hospice aides ensure physical and emotional comfort is maintained according to the patient’s plan of care. By monitoring and reporting any changes in medical, rehabilitative or social needs, these caring professionals create a trusted bond with the patient and assist them in coping with terminal care. 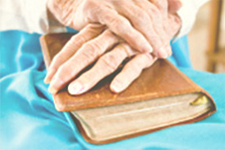 Bright Horizon Hospice spiritual counselors assist patients and their families in addressing their emotional and spiritual needs at the end-of-life. Patients with terminal illnesses face many physical, emotional and psychological issues of distress. Discussing spiritual concerns is essential in helping the patient and their loved ones cope with their fears about the future. 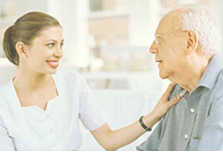 This type of care is provided in a residential setting, typically the patient’s home or a non-acute care facility. Services are provided according to the needs, frequency and intensity required for an unlimited number of days as long as eligibility requirements are met. When a patient’s symptoms can no longer be managed in a residential setting or hospital, inpatient care is designed for the highest level acute care in a skilled nursing facility. 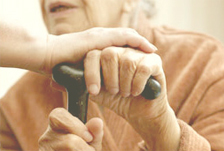 Patients are provided nursing care 24 hours a day for a short period of time. Services are provided for an unlimited number of days as long as medically necessary. For a patient in crisis with symptoms that cannot be managed with routine care, general inpatient care is provided in a residential setting. This level of care is typically provided for a short period of time and is utilized to prevent transfer to an inpatient setting. To provide the primary caregiver with short-term relief, the patient is temporarily admitted to an inpatient unit, hospital or skilled nursing facility. Upon approval by the hospice, services are available for up to 5 days. Once the patient’s plan of care has been established, caregivers visit the patient on a scheduled basis to provide ongoing treatment, minimize pain and discomfort, and prevent emergency situations. Upon receiving a referral, a Bright Horizon Nurse evaluates the patient and educates the family and patient on the available options. Patients are typically admitted the same day or within 24 hours of receiving a referral. To maintain the best possible quality of life, Bright Horizon’s Nurses are skilled in the science of pain management. Our approach is to provide relief from pain and discomfort and to make our patients as comfortable as possible while neither postponing nor hastening death.